Buy from us quality approved Mild Steel U Bolt at the best market prices. 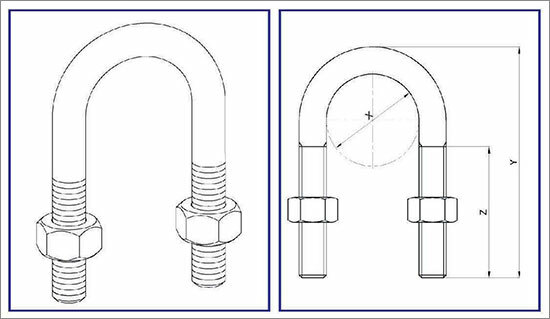 The Mild Steel U Bolt is widely used for clamping plain or insulated pipes to standard channel supports such as trapeze hangers, floor stands and wall brackets. Our experts design Mild Steel U Bolt using mild steel electro galvanized and sophisticated technology in compliance with the set industry standards. Full range of intermediate sizes is available to ensure a simple and effective support and clamping arrangement. 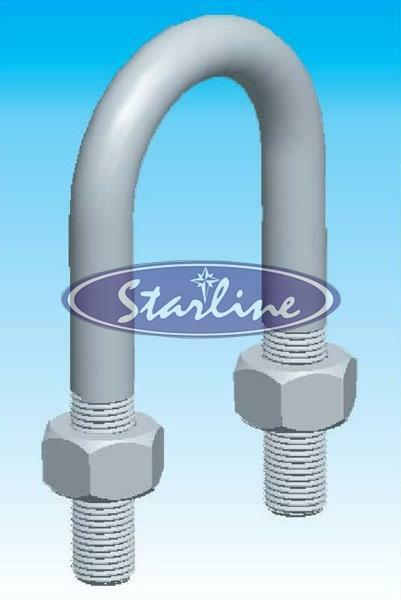 If starline rubber support inserts are proposed to be used, then model number of starline rubber support. Epoxy powder coated finish (Suffix "EPC").